First and foremost, one of my favorite gifts from the fair is that delicious nectar of the most industrious busybodies – honey. There are so many colorful kinds to choose from (and luckily, taste) that you can pick one or two to add a bit of sweetness to any fancy pants gift basket. I picked up basswood and buckwheat versions this year. One might even make it into your holiday gift; if you’re good. 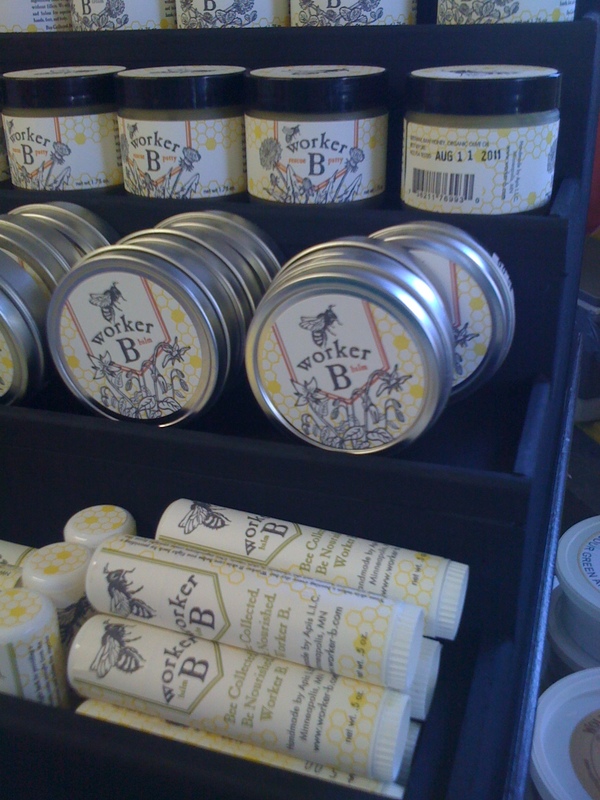 One of the coolest new additions to the selection this year is a new line of balms, lotions and putties by Worker B (above). Yep, putty. These great products lean heavily toward the organic in their ingredients and offer a scrumptious assortment of moisturizers for hands, elbows, and chapped lips. Let me tell you, these things smell good enough to eat! This brand spankin’ new line is making its debut at the fair so make sure you check it out (yep, right next to the honey in the Ag/Hort Building). 3. It slices! It dices! I know this isn’t fancy and it smacks of state-fair merchandise hawking, but the V-Slicer guys in the Ag/Hort Building have a good thing going. If you cook often enough, you know it’s worth investing in some sort of mandoline slicer at some point in your culinary journey. Instead of stepping up directly to a $100+ version from Williams-Sonoma, this German Borner version is a good place to start. It's plastic, but trust me, that whole julienne thing will go more simply. One of my all-time fair favorites is the pottery by Suzi Christensen of Nameless Wildness Clayworks. Suzi is the master of the delectably textured bowls, dishes and other assorted clay goodies. Truth be told, I own a few of her bowls already and this year I’m loving her state-fair assortment of garden markers and the cute corn platter seen above. And yes, that's a mold taken from an actual corn cob! Don’t see exactly what you want? She also does a ton of custom work so you can get whatever your heart desires. Bonus: her glazes are food and dishwasher safe. 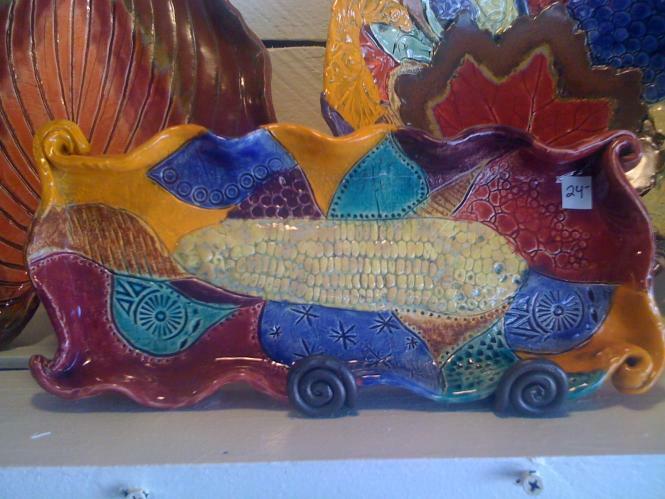 Find these quirky works in Heritage Square at J. Saliture Pottery. Okay, so this one isn’t exactly food-related, but it twangs my local business and handicrafts heartstrings. 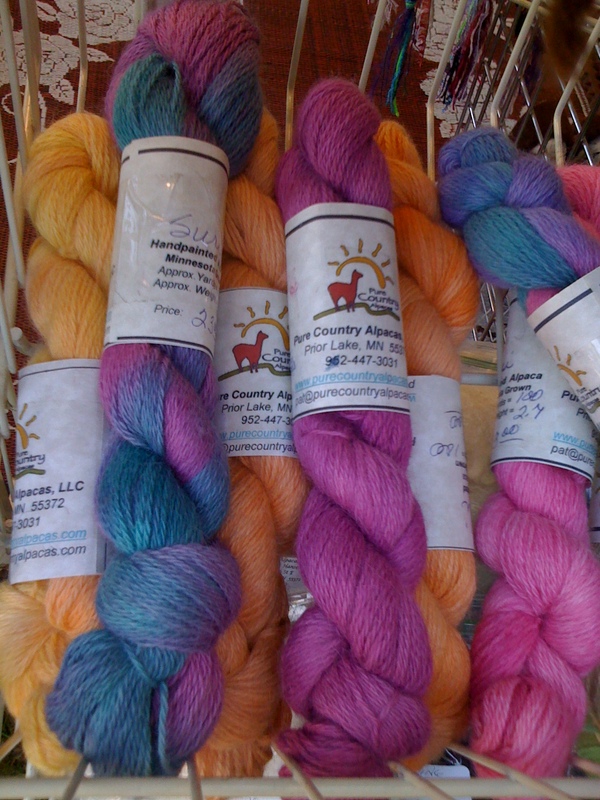 Raised locally in Prior Lake, Pure Country Alpacas turn out some of the most luxurious yarns I’ve found. And may I say that their alpacas are quite cute too? Visit the furry creatures (yes, there are two on display at the fair) and pick up some skeins near the Coliseum and Cattle. And lastly, it’s a shameless plug for something you can’t even buy at the Minnesota State Fair, but I have to give a nod to our Simple, Good, and Tasty Local Food Lover Card too. Lee and the team were busy handing out leaflets and info about how to make better choices about food during Minnesota Cooks day at the fair this year, and the Local Food Lover Card is just so easy to snap up and pass on to someone you love. Sure there are hundreds of other ways to spend your bucks on food and merchandise at the fair. But hopefully a few ideas will kick off some of your own creative thoughts about spreading the love year round. Happy fair shopping! Tracy Morgan is a frequent contributor to Simple, Good and Tasty. She also runs Segnavia Creative, a business development and marketing firm, and serves on the board of directors for the Mississippi Market Natural Food Co-op in St. Paul.